Below is the academic year 2016-2017 racing schedule for Case Crew with links to the results and photos for each event. For a write up about each event continue to scroll down. View details of previous seasons here. Novices Shine in Philly: WN8+ Silver and MN4+ 10th! May 12-13, 2017: Case Crew took three crews to Philadelphia cautiously optimistic about the novice squad's chances at the small and mid-size school national championship regatta. The women's novice 8+ had been posting fast times all spring and came away with a silver medal -- the team's first-ever big boat medal! The men's novice 4+ advanced to the Saturday semi-final, finished 4th, and ultimately finished 4th (or tenth overall) in the Petit Final. The lone varsity crew to make the trip was the men's varsity 4+ -- probably the most difficult and deepest event at the entire regatta -- that finished out of the running after the Friday time trial. The two-day race in Philadelphia was founded in 1934 and functions as the de facto small and mid-sized college championships. Crews compete on the 2000m Schuylkill race course with time trials, heats and semis on Friday and finals on Saturday. In order to squeeze in more events and provide more Saturday racing opportunities, the regatta has moved to time trials for events with lots of entries. For 2017, our men’s varsity and novice fours had to compete in time trials on Friday morning. With only 16 entries, the women’s novice eight contested traditional heats and finals. In the women’s novice eight, the Spartans won their heat easily beating varsity-status crews from Bucknell and Rollins by over 10 seconds to advance straight to the grand final. 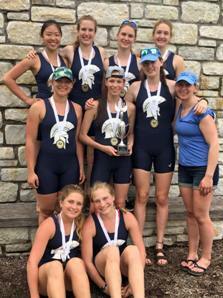 The crew of Madison Piccirillo (b), Katie Francissan (2), Micensie Barrett (3), Kirsten Wetzel (4), Steph Collins (5), Emily Judge (6), Sarah Carlson (7), Ingrid Iversen (s) with Natalie Scherner coxing had the fastest time coming out of the heats. Women's Novice 8+ posing with their silver medals on the awards dock. In the women’s novice eight final, it was a wire-to-wire drag race between local favorites St. Joes and the Spartans. The two crews paced the field by over 8 seconds, but St. Joes had just a bit more juice and beat case by just over 1 second to take gold. The silver medal for our crew signifies a high-water mark for the program marking the first time we’ve earned a medal in a big boat class at Vails. On their way to silver they beat varsity-status (i.e. recruited athletes) from Bucknell, Duquesne and Drexel. On the men’s side, the men’s frosh/novice four finished in 9th place out of 30 crews, which advanced them to the semi-finals on Friday afternoon. In the semi, the crew of Tim Nehila (s) Chris Hadiono (3), Spencer McClung (2) and Ben Cehelsky (b) with Jessica Mu coxing drew a tough heat against a few varsity crews and finished fourth. With only the top two advancing to the grand final, they would be racing in the Petit Final on Saturday. In the second level final they finished fourth (10th overall) behind Bowdoin, MSOE and Delaware – a tremendous result! Men's Novice 4+ racing to 4th place in the semi-final. Probably the most difficult race in the regatta is the men’s varsity four. The event attracts the top four rowers from many smaller programs and the JV guys from the top varsity programs. Liam Hoye (s), Matt Hausladen (3) Ian Steiner (2) and Sean Mann with Elizabeth Tobin coxing took a swing at the big boys and were just off the pace. The Friday time trial had 35 crews and Case finished in 25th, which placed them in the fifth-level final on Friday. However, due to inclement weather Friday night into Saturday the minor finals were cancelled. Men's Varsity 4+ pushing through their time trial on Friday. SARA again hosted a parent/alumni tent, which was well attended throughout the two days of racing. During the rains on Saturday the capacity of the tent was fully tested. Our tent position improved slightly from previous years with our placement about 400m from the finish line. It’s a good time so make sure you come down next year! April 30, 2017: The regional championship MACRA regatta was held this year on Harsha Lake just outside of Cincinnati again this year. Conditions were cool and overcast with a steady, stiff cross head wind. Rains overnight raised lake levels claiming some competitor's tents. Case entered six crews across five events with all crews making either the Grand or Petit finals. The women's novice 8+ event was final only, and the Case women blasted off the starting pontoons to a commanding lead and were never challenged. The final margin had them 35 seconds off of the second place crew from Miami. This performance comes after a similarly commanding result from a few weeks prior at Lubbers Cup where the novice women won both their dual races against regional powerhouses Grand Valley and Marquette. The line up was Ingrid Iversen (s), Sarah Carlson (7), Emily Judge (6), Steph Collins (5), Kirsten Wetzel (4), Crystal An (3), Katie Francissen (2) and Madison Piccirillo (b) with Natalie Scherner coxing. The team has never won a medal in an eight event at MACRAs. We've won a few silvers in the four and golds in singles. The gold medal in the novice 8+ is a historic one for Case Crew and hopefully portends good things for years to come! The novice women weren't really pushed in the race and finished the stake boat, buoyed course into a stiff cross headwind in 7:15.5. For those of you out there in the know, this is a legit result. Period. Great job ladies! The varsity women were broken up into Varsity and JV fours with the Varsity crew winning their heat and finishing fourth overall in the Grand Final. The JV women grabbed the last qualifying spot in their heat and were able to finish 5th in the Petit final behind powerhouse Grand Valley and three varsity-status programs from Eastern Michigan, Charleston and Drake. This race marked the end of the collegiate career of Colleen Kennedy (3-seat V4+). She's been in a number of record setting boats for Case Crew over the last four years, and we wish her well. The novice women's squad is deep enough to also field a reserve 4+, and this crew finished second in their heat ahead of conference rivals UChicago and ultimately finished 6th in the Grand Final. Men's racing at MACRAs is unbelievably deep with most of the Grand Finalists in the eight also making Saturday afternoon appearances at Vails. If you want to be competitive in Philly you need to be competitive at MACRAs. The varsity men drew Michigan, Mercyhurst, Michigan State and Ohio State in their heat and finished behind them in that order to earn a spot in the Petit Final. In the Petit they finished 3rd and 9th overall behind Ohio State and DePaul. The coaching staff also fielded a JV 8+ comprised of a mix of varsity and novice rowers to test fitness and give championship racing experience to the novices. The crew was off the pace a bit finishing behind Michigan, Mercyhurst and Michigan State and ultimately finished 3rd in the Petit Final with a respectable 6:51 finish time. Alumni vs. Students... Alumni Always Win! April 15, 2017: This year marked the 13th alumni regatta with nearly 30 alumni and parents visiting over Easter weekend. This year's event featured racing in the morning followed by the christening of three new shells to the Spartan Navy. In the evening it was almost standing room only with 75 folks crammed into the upstairs of the Flat Iron Cafe to hear coaches, students and alumni speak while enjoying some good cheer. A number of races were held with most of the alumni getting to race the 600m side-by-side sprint twice. Crews were "lined up" just downstream of the red swing bridge and raced to dock at the boathouse. Side-by-side racing in women's fours! 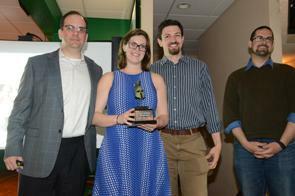 The alumni ranks were bolstered by some recent graduates with still impressive erg scores. As a result, many of the alumni crews were victorious this year -- margins improved upon by the generous starting conditions. The "serious" races were in the men's 8 and women's 4. The stacked men's eight for the alumni took off the line at nearly 40 spm and settled into the mid 30's. Stroke Kevin Cronin '16 is resident at the high performance group at Potomac Boat Club since graduating last December. The alumni crew hung together against a fast charging student crew to win the sprint by nearly a length. The women's 4+ race featured the most recent top three team erg scores (Sevier, Kennedy & Merlino) with coach Rachel Stanley in the bow. The fast crew had the outside lane and wider turn and were still able to squeak out a half length win over the student crew of Thompsen (s), Schnittman (3), Carlson (2) and Iversen (b). Everyone decided they were game for a second race so additional line ups were created and shells procured to race fours, pairs and doubles. In the fours race, the alumni crew of Rathburn (s), Chorney (3), Bachmann (2) and Fakult (b) couldn't hang onto the speed of the student four. An exhibition race between the pair of Liam Hoye and Kevin Cronin against Chris Ryu and Doug Brubaker in a double was held. Some strokes were taken, and we're still not quite sure what happened. On the women's side, Abby Sevier and Steph Merlino reprised their pairing against students Anna Thompsen and Emily Schnittman. With 100m to go the race was interrupted by WRRA learn to row crews, but there were still smiles all around due to one last chance to splash about in boats! At the conclusion of the regatta we christened three shells into the fleet: Class of 2007, Perseverance, and Grandma Liz (click on links for shell dedication photos). Significant financial support for the three shells came from alumnus Paul Buchheit with naming gifts provided by Bowley, Chorney & Uber (Class of 2007), the Lubowe family (Perseverance) and the McClung family (Grandma Liz). The Class of 2007 is a 2011 Pocock Hypercarbon Mid/Heavyweight hull purchased from Cornell University. The Perseverance is a 2006 Pocock Hypercarbon Midweight hull purchased from Evans Rowing Club. The 2009 midweight Resolute 4+, Grandma Liz, was completely refurbished to "like new" condition and purchased from the Resolute factory. Spencer McClung, Carly Lubowe & Brian Chorney with their trophy blades. In the evening, we gathered at the Flat Iron Cafe for buffet dinner and a few speeches and presentations. You can see the SARA presentation here. Coach Aaron's season overview can be seen here. The students provided a nice introduction to the agenda and followed up current rowers Ben Cehelsky, Ingrid Iversen and Emily Schnittmann providing testimonials of what rowing on the team means to them. Next up was Aaron Marcovy, the head coach, providing an update to the team's progress over the previous year. 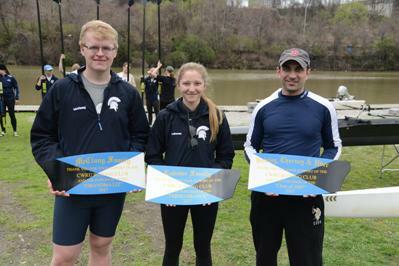 Doug Rathburn's presentation included an overview of SARA accomplishments and handing out the Spartan of the Year award to Colleen Kennedy and Liam Hoye. You can view photos from the event here. 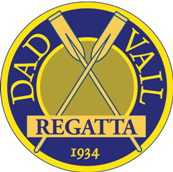 April 8-9, 2017: This year marks the second invite for the Case Western Reserve Crew Club to attend the prestigious 22nd Annual Don Lubber's Cup Regatta in Spring Lake, Michigan. The regatta is hosted by Grand Valley State University. This is arguably some of the best competition that CWRU will see all year until Dad Vails, and being one of the smallest schools, it puts the rowers in a healthy position to grow. The squad fielded four boats at this uniquely-formatted "double dual" format regatta, a Women's Novice 8+, a Women's Varsity 4+, a Men's Novice 4+, and a Men's Varsity 8+. Eleven teams competed in the regatta and Case finished in seventh based on the points methodology. Men's Varsity 8+ powering through the finish of the stroke at the 2017 Lubbers Cup. This regatta is special because it is designed to have 3 races over two days, all 2,000m. Competitors race only one or two other shells in each race, and they cycle through so that they see most of their competitors. The teams are judged not only on time, but also margin of victory. Unfortunately, due to high winds causing unfair lane assignments, the racing on Sunday was cancelled, and trophies went to teams based largely on times and placement. The Squad performed admirably, with a bit of cross tail wind pushing them down the course. The Men's V8 had a good showing against Grand Valley and Minnesota in their first round, and bested Illinois in one of the closest matches of the regatta in their second race. Former WRRA coach Cameron Carter, current coach of Illinois, was on hand, and had nothing but good things to say about his former program. He later extended an invitation to perhaps scrimmage in the fall season as both teams continue to improve. Women's Novice 8+ crushing Grand Valley State at the 2017 Lubbers Cup. The Novice Women's 8+ had a fantastic weekend, starting out strong against the Number 2 ranked team in the country, Grand Valley State. The Mighty Novi beat them handily, by 14 seconds in the first round, so we will see what the rankings yield next week. In their second round, they had a dominant 35 second victory over the Marquette novices. An outstanding showing. The Women's Varsity 4+ had great opposition in Purdue and Marquette. The row was rough, and didn't fully demonstrate speed, ultimately falling to Purdue on the order of 4 seconds. After some reflection and regrouping, the Varsity women came out ready to fight by the afternoon. In the second round, the Varsity women had a great rhythm, beating a Purdue novice boat and an Eastern Michigan University 4+ by 22 seconds. This garnered a commentary from the EMU coaches, who communicated how great our women's squad was shaping up to be. In the Men's Novice 4+, our greenhorns performed quite well, and due to the format of the regatta were raced in the Open category. In the first round, they fell under a Michigan freshman boat, but coming up nearly 13 seconds above the Golden Gophers of Minnesota. By the afternoon, the MN4+ was in the groove, coming against a tough Michigan freshman boat, and almost clipping a Michigan State varsity boat. All told, it was a great day of racing against some fantastic competition. The quote of the weekend came from the regatta host and head coach of Grand Valley State University, John Bancheri, to said that he and University of Michigan head coach Gregg Hartsuff had been speaking, and remarked at how exciting it was to see Case Western come ready to compete at Lubber's Cup, and further showing how it is possible for a smaller school population to put out quality rowing teams. Our Varsity Oarswoman Ashley Yoon did a great job of gathering photos, and they can be found HERE. Race footage is captured and updated at our regattas as frequently as possible, and is generally uploaded to the CWRU Rowing YouTube channel, which can be found HERE. Special thanks go out to Grandma Stevens (our new rower Alex Stevens' grandmother) for hosing the women's team this weekend - it was like being at home! We are so grateful for your support. 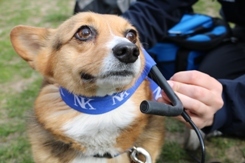 Also, thank you to the Steiners, Francissens, and Iversens for attending - as well as bringing a fleet of corgis. We are looking forward to hosting an outstanding Alumni Regatta this coming Saturday, April 15th, and we may have a surprise guest crew of Carnegie-Mellon coming to race the squad ahead of time on the Cuyahoga, but that is going to be a game-time decision to be worked out this week. Thanks to Head Coach Aaron Marcovy for the Race Report! Conditions were a bit choppy on the smallest of the Finger Lakes. Winds were significant at 12-15 mph with conditions almost unrowable if not for the straight tailwind direction. Case handled the conditions well by finishing first or second in each event entered. The Spartan women were undefeated in all three races -- varsity 8+, varsity 4+ and novice 8+. The men won the men's light/JV 4+ and novice 8+ races, but fell to Geneseo in both varsity 8+ and varsity 4+. The most dramatic event came in the WV8 race when 2-seat lost her oar popping completely out of the oarlock with 500m to go. The women had a comfortable lead and with some deft coxing regained composure, did a racing start, and regained the lead to win over Genseo by 5 seconds! Race results for the SUNY Invitational Regatta can be found HERE. Case Dominates Home Schools for 6th Straight Year! March 25, 2017: Case Crew raced John Carroll for the fifteenth annual Cleveland Cup. Case won all six contested races to extend their cup winning streak to six and nine overall. Cleveland State were unable to boat crews this year due to attrition and injury. This year there were seven races with six of those races counting toward the Cleveland Cup. The racecourse was held in dual-format, which is two boats side-by-side. The race also followed an interpretation of "Oxbridge"? rules, which provides for safety as boats make turns. The overall course was approximately 1,500m, and was run from the NS1 railroad bridge at the mouth of the Cuyahoga, and was finished at the Merwin’s Wharf docks at Rivergate Park. Women's Varsity 4+ Pushing to the Line Against John Carroll. The two lanes were determined by coin flip, called by each club president during the Coaches and Coxswains briefing. Staggers were assigned to each lane, depending on the size of each boat. In almost every race Case was able to make up the stagger while in the Flats before the first major bend allowing them to cruise to the finish. The tightest race was in the women's varsity four where JCU pushed the Spartan women all the way to the finish. Our WV4 of Kate Bush, Michaela Kus, Colleen Kennedy and Emily Schnittman with Carly Lubowe coxing was able to hold them off to post a winning margin of 3.8 seconds - just over a length. Race results for the 2017 Cleveland Collegiate Regatta can be found HERE. March 16, 2017: Case Crew headed south to Lake Guntersville in Alabama for their spring break. Due to a shift in the school's spring break, the timing was earlier, which precluded the team from going to Gainesville. Unseasonably cool and windy conditions greeted the team and it was a challenge to row a full complement of miles. Alumnus Brian Chorney '07 made the trip to help coach along with assistant coaches Kate & Eric Krengel to help head coach Aaron Marcovy handle the crew. Spring miles on Lake Guntersville in Alabama. The Case men were able to scrimmage the crew club from the University of Alabama -- a team that finished just 4 seconds off them at the Hooch. The men's squad had lost a couple key rowers for spring and struggled in the scrimmage to hold onto the stern of Alabama. Although a week of high winds prohibited as much rowing as was scheduled, the conditions for the scrimmage were reasonably advantageous, with 5-6 MPH gusts and a decent temperature. The scrimmage consisted of four 2,000m pieces with approximately 10 minutes rest. The first 2 lengths were structured, with each 500m segment being governed at 24, 26, 28, and 30 strokes-per-minute respectively. The last 2 lengths were “open rating,” meaning an ungoverned sprint structure. Alabama' V8 was the strongest in recent memory with 5 seniors. February 5, 2017: Case Crew dominated the competition again at the 28th running of the Hammer Ergatta. This year's race was two weeks earlier than normal and classes start one week later than normal, but the reduced training time did not stop the Spartans from claiming their 3rd Hammer Cup in a row. The Hammer Cup has been contested between Case and John Carroll since 1995 with Cleveland State joining the action in 2008. Case leads the series with thirteen wins to JCU's 8 and CSU's 2 wins. This year's event was held in the DeCarlo Varsity Gym on John Carroll's campus. The well organized event saw Case take home 8 Hammers (yes, actual hammers) in almost every event they entered. Gold hammers for winner and silver hammers for second. The women's team had six athletes break 8 minutes with novice Sarah Carlson taking top honors with a 7:31.7! Colleen Kennedy took top honors in the Open Varsity race with 7:44.9. The open lightweight race saw Maria Tompkins finish second with 8:02.6, one second off the pace, and the novice lightweight race was won by Katie Francissen in 8:20.8. Case women ready to start. The men's team also showed some speed and depth. The men had eight athletes break seven minutes with Matt Hausladen leading the way with a 6:29.3 to win the Open Men's category. Alumnus Dou Brubaker even took part taking fourth with a 6:41.8 in the open race. The fastest novice man was Tim Nehila with 6:55.3 to take second. The lightweight men's squad had Andy Swyers take 5th in the Open event with 7:19.2 and the novice race had Andrew Thomas taking 4th in 7:51.2. The last event of the day was the Sledgehammer 6x500m mixed relay. Case entered three squads and finished 2nd, 4th and 6th. The top two teams were varsity Case squads and the third team were novices. The fastest Case relay team completed the 3km in 9:48.8 to take home the silver sledgehammer. 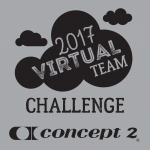 February 3, 2017: Sixty-five alumni, students & friends pitched in to row 8,256,332 meters in the annual C2 January Virtual Team Challenge (JVTC). For the challenge rowers had to row as many meters as possible between January 1 and January 31 then log their daily meters using the Concept 2 Logbook. The results were then ranked against other teams. The SARA team finished in 20th place out of 578 teams -- right in line with last year's 19th place finish! Our meter total was about 130km less than last year, which was a record. Thank you to everyone that participated. The Case/SARA team continued on form by beating the alumni team from the University of Chicago for the third year in a row. We beat both the individual teams from UC - the students and alumni but their combined total of 10,933,940m still beat our combined student and alumni total. Stacking up our alumni agains their alumni it wasn't close with SARA coming ahead by a couple million meters. In the battle of the undergrads, UC came out on top. A new competitor emerged this year from Colby College with the team name Snow Pond Training Center. The combined student/alumni team pulled over 9.8 million meters for 16th place. A new target for next year's challenge! Leading the charge for SARA this year was alumnus Thomas Schwertner who rowed 409,189 meters beating his last year's total by over 100km! The top undergraduate finisher was Sarah Carlson with 290,155m and the top alumni finisher was last year's overall winner Ninteen people passed the 200km mark this year to earn a free hat -- the same number as last year. Congratulations to everyone and a special thank you to the 19 alumni and students earning their 2017 hat. Each year we would like to show our support of the coaching staff by providing them with a little "boost" each spring. Each year we ask the coaches what would really be some items they need to be successful for the spring season. This year's list is posted HERE. As we all know the team cannot function without the support of alumni, parents and friends. From time to time the team needs certain items to keep functioning in tip-top shape. If you would like to contribute one of the item -- gaining a nice tax deduction at the same time -- please contact Doug Rathburn for more details. This year's list contains some of our typical athlete support items, straps and hardware. We recently acquired a used Pocock wakeless launch from Harvard and we need to fit it out before it can go out in the spring. We also have a bunch of shells and oars that need names. Any amount helps so please reach out and make a donation. November 5, 2016: Case Crew took their top eights to the Head of the Hooch for the second year in a row and proved that they could hold their own against the best of the south. The early November race is a beacon for rowing colleges across the south and a number of Midwestern colleges. The women's varsity eight took silver against a field of 28 while the men took sixth against 35 other teams. For the first time the team took a novice eight, and our women placed 12th out of 40 crews. The two-day event hosted over 200 teams and over 2,000 entries with the regatta site right in downtown Chattanooga, Tennessee. The 5,000 meter course is fairly straight, fair and easy to pass. With the city center venue and excellent course, the Hooch has grown into one of THE premier head races in the country. For northern crews, the early November timing also extends the competitive season. The 2016 edition has excellent, flat water with sunshine and almost no wind. Head of the Hooch silver medalists in the women's college & club 8+! Case's events were on Saturday with the varsity women early in the morning. The line-up was Emily Schnittmann (s), Ashley Yoon (7), Abby Sevier (6), Joyce Chu (5), Colleen Kennedy (4), Steph Merlino (3), Anna Thomsen (2), Emmeline Pearson (b) and Josh Zuccala (cox) Given their fourth place finish last year, they were given the first bow number and led the procession for the 2016 running. In the head racing format, crews are started every 10-15 seconds. By the time the Case women came into the last thousand they had opened up nearly a minute gap to the next crew signifying a potentially very fast time. When all of the results were tallied the crew finished second overall and 10 seconds behind Georgia Tech. The men's varsity 8+ of Liam Hoye (s), Kevin Cronin (7), Matt Hausladen (6), Phil Smith (5), Ryan Norchi (4), Ian Steiner (3), Sean Mann (2), Chris Ryu (b) and Elizabeth Tobin (cox) faced significant competition and finished 6th overall looking strong on the course. Texas, Georgia Tech and UNC Chapel Hill were the class of the field taking the top three spots and breaking 16 minutes. Providing significant motivation for the winter was being bumped down from last year's fifth place finish by URA rivals WashU by 2 seconds! WashU also pipped the Spartans at last year's URA championships. Can you say April 1 show down? The women's novice 8+ took to the waters for the first time in an organized regatta. They had raced in the Mercyhurst and Marietta scrimmages, and took to the Tennessee River like professionals. The crew consisted of rowers Ingrid Iverson (stroke), Serena Lai (7), Sarah Carlson (6), Emily Judge (5), Kirsten Wetzel (4), Micensie Barrett (3), Innes Hicsasmaz (2), Madison Piccirillo (bow) with Jessica Mu as coxswain, and their time of 19:48 was good enough for 12th place overall. The top 11 spots contained 9 varsity status crews implying 3rd place out of the club crews. And the team beat 28 other crews. 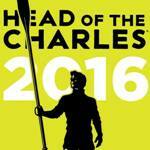 The Hooch runs a qualification system for guaranteed entries in the next year's race. Both varsity 8's grabbed 2017 slots. The women's novice event only had 10 slots so our women just missed out. This regatta signified the last competitive race for a number of team stalwarts. Abby Sevier, Steph Merlino, Colleen Kennedy and Kevin Cronin and now officially alumni! If you have been impressed by the result of the crews in the last few years, you will see these four in almost every one of those photos. Thank you for your dedication, and welcome to SARA! October 29, 2016: Case Crew headed to southern Ohio to Marietta for an invitational events against Marietta College, University of Cincinnati, University of Dayton and the Ohio State University club team. The format of the race consisted of a 6,000m head race followed by three 500m pieces. The women finished strong placing third in the head race and winning two of the sprints. The men were in contention, but finished off the pace against the other squads. Overall the coaches were pleased with the speed of the crews and are looking forward to the varsity and novice eights racing in Chattanooga. The late October weather was almost too hot for racing with temperatures in the 70's and slight wind. This was the second year for the invitational in this format. Case was not invited last year, and the team's recent gains in speed have not gone unnoticed prompting and invite for this year. An incarnation of the Marietta Invite existed in the 90's and the team was invited to that race in 1995. The Case women had Dayton's number all day -- beating them in the head and each sprint. In the head they finished 1 second off Ohio State and four seconds behind Cincinnati. They then won the first two sprints, but fell in the third 500m piece to Cincinnati by a second. A tremendous result that bodes well for next weekend's Hooch where the V8 will have the first bow number of 27 in the Collegiate/Club 8+ event! The regatta was also another chance for the novices to gain experience before the Head of the Hooch next weekend. The novice women's 8+ beat the other novice boat from Dayton in the head race, but then came short in each of the sprint pieces. The coaches also raced a couple novice women's fours in the head race, but not the sprints. The top novice women's four was beaten by the varsity squad from Dayton and beat the crew from Cincinnati. The second novice women's four finished in fourth place of four. The novice men only raced an eight and finished a minute off the only other novice crew entered from Cincy. The varsity and JV men improved on their performance from Mercyhurst. A timing glitch meant no times for the top crews from Marietta and Cincinnati were taken in the head race. The V8 finished just over a minute off Ohio State and Dayton in the 6km head race with the JV crew finishing 50 seconds off them. In the sprints it was a close run affair with Case finishing with the 5th and 6th fastest times each run. Race results for the Muskie Chase can be found HERE. October 22, 2016: The Case Crew women's varsity four headed to Boston for the 52nd Head of the Charles Regatta. The world's largest regatta hosted over 10,000 athletes over two days on the Charles River. The women's four of Abby Sevier, Steph Merlino, Emily Schnittmann and Colleen Kennedy with Josh Zuccala coxing finished in 19th place out of 59 finishers. The position re-qualified the boat for next year's regatta and was 12 places higher than last year's record breaking performance. 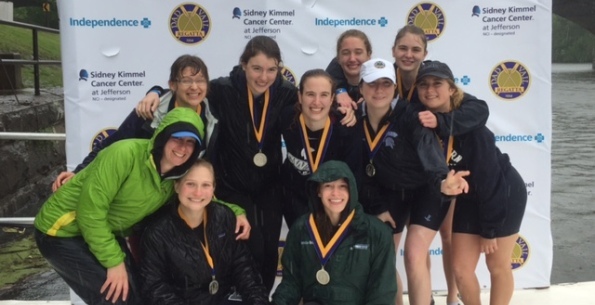 The crew coached by assistant Rachel Stanley took honors as the fastest college club program in the Club Fours event and beat number of renowned varsity status programs as well -- including crews from Miami (FL), Boston U, Marist, Lehigh, Temple and Princeton(!). The weather during the race as challenging with cross headwinds most of the way and alternating drizzle/deluge rain all the way down the course. The crew's technique and timing started to waver in the back half of the race, but the team's extensive training regimen allowed them to maintain power through the drive to keep the hull speed up. As a result they held an amazingly stable pace throughout holding onto 19th place at each of the four timing points along the winding 3 mile course. Due to their placing last year the team was given bow number 27 placing them in the middle of the pack and amongst faster crews to help push the pace. The women's squad were extensively seat raced in order to find the fastest combination. Even though this year's line-up contained three rowers from last year's qualifying four, there were no guaranteed seats. The line-up was shuffled with Abby Sevier setting the pace from stroke and Steph Merlino backed her up in 3-seat. The bow pair had Emily Schnittmann in 2-seat and Colleen Kennedy in bow. Josh Zuccala took the rudder with last year's coxswain Masato Miyagi making his way to Boston to support Josh with the challenging course. The crew were hosted in Boston by Steph's mom. The cheering squad consisted of coaches, parents and alums. Recent graduates Doug Brubaker, Gavin Brown and Matt Holdren came to show their support. Alumni also raced with Alan Valenti '09 raced for Riverfront/Hartford in the men's senior master 8+ placing 27th of 62 crews. Alumnus Evan Halprin '02 MGT'03 raced in the director mixed double for Station L and finished 18th of 37 finishers. The team was disappointed to not be granted a lottery entry for the men. However, the women's excellent result this year guaranteed an entry for next year's race for the second year in a row! October 8, 2016: Case Crew participated in an informal scrimmage against Mercyhurst College and Canisius College on Findley Lake just east of Erie, Pennsylvania. Case struggled to hold onto the other two colleges in blustery conditions, and provided good early feedback that when it's race day you come to race. The event was an invitational hosted by Mercyhurst to showcase their team to local dignitaries and members of the school's Board of Trustees. Mercyhurst sponsors varsity men's lightweight and varsity women's programs while Canisius has a varsity women's squad. Case both their men's and women's club squads to battle in the head/sprint format. The schedule featured a 5k race on a looped course around the lake followed up by a 500m sprint. Final rankings were calculated by multiplying the sprint time by five and adding it to the 5k time. Case competed in five of the eight events offered. Women's Varsity 8+ racing on Findley Lake, NY. In the men's races, the varsity and JV eights both finished behind the two entries from Mercyhurst. The men's novice eight finished nearly 7 minutes off the pace of Mercyhurst in the combined time. The women's varsity 8+ finished fourth behind Mercyhurst and the two Canisius entries, however, they finished ahead of the Mercyhurst B entry by 1.5 minutes. The top women's 4+ finished third overall behind Mercyhurst and Canisius in a 8-boat event. The second entry from Case in the women's varsity 4+ finished in eighth. The women's novice 8+ event was an all-Case affair with two entries. The "A" entry with a little more experience finished nearly 8 minutes ahead of the Case B entry filled with true novices that had only a couple weeks under their belt. The event provided some valuable race-format experience that will pay dividends later this fall. September 17, 2016: Case Crew defended their home waters at the 21st running of the Head of the Cuyahoga. The students were back on campus only a couple weeks before being tested only the winding Cuyahoga River. The weather gods almost scuttled the entire endeavor with thunderstorms bearing down on Cleveland. The first twelve events were launched and caught much of the rain. After a slight pause, racing resumed with almost perfect weather and slight tailwind. The second thunderstorm forecasted only threatened and missed the racing. Fortunately, none of the Case events were adversely affected by the weather. The team performed exceptionally well throughout the day. The race course ran from the scissor bridge near the steel mill to the boathouse -- about 4800m.The men's and women's eights dominated, and the top men's four also won. The coaches tried not to double up the athletes, which gave a look at a top eight and second fours for both quads. No novice boats were fielded. The women's varsity 8+ of Emily Schnittmann (s), Ashley Yoon (7), Abby Sevier (6), Joyce Chu (5), Colleen Kennedy (4), Steph Merlino (3), Anna Thomsen (2) and Emmeline Pearson (b) with Josh Zuccula coxing looked comfortable throughout the race. 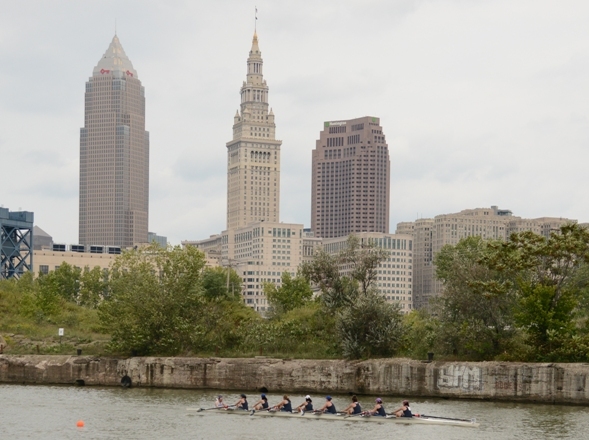 The crew beat two club crews from the Cleveland Rowing Foundation and Three Rivers by over 1.5 minutes. Collegiate crews from John Carroll and Ohio University were off the pace finishing in fourth and fifth respectively. The men's varsity 8+ of Liam Hoye (s), Kevin Cronin (7), Phil Smith (6), Matt Hausladen (5), Ian Steiner (4), Ryan Norchi (3), Chris Ryu (2) and Wyatt Saint Clair (b) with Elizabeth Tobin coxing also comfortably won their event against five other crews. The closest crew from John Carroll finished 1.5 minutes off Case for silver. The core of the Spartan crew were the varsity eight from Vails last season and their summer conditioning showed as they powered down the 3 mile course. Women's Varsity 8+ comfortably leading the field into the last thousand! The men's squad boated two fours against eight other crews. The top four of Ben Lindstrom (s), Luke Fakult (3), Sean Mann (2) and Dave Fulton (b) won by over 20 seconds against the University of Toledo. The second four of Wyatt Saint-Clair (s), Peter Fedrizzi (3), Tyler Ward (2) and Andy Swyers (b) with Helen Liu steering placed 5th about 25 seconds off John Carroll and Cleveland State. The women's varsity four of Maya Monroe (s), Kate Bush (3), Maria Tompkins (2) and Helen Sanderson (b) with Oona Haffey coxing struggled a bit to find speed and finished 10th in a 20-boat field. The alumni ranks were not as strong this year with only a handful of us racing. Erynn Rathburn '99 raced her single to second place ahead of alumna and former coach Patty Wolford in the Women's Master Single A-B. Former coach Chris Sheridan took a crack at the C single and was off the pace of a sculler from Toledo to finish second. Current assistant coaches Rachel Stanley and Sharon Romilly took second in a seven-boat Women's Open Pair field. Doug Rathburn '97 was the only entrant in the masters A-B single and got a consolation gold medal, but earned it due to being in the group of scullers pummeled by the morning thunderstorm. The alumni ranks were not as strong this year with only a handful of us racing. Erynn Rathburn '99 raced her single to second place ahead of alumna and former coach Patty Wolford in the Women's Master Single A-B. Former coach Chris Sheridan took a crack at the C single and was off the pace of a sculler from Toledo to finish second. Current assistant coaches Rachel Stanley and Sharon Romilly took second in a seven-boat Women's Open Pair field. Doug Rathburn '97 was the only entrant in the masters A-B single and got a consolation gold medal, but earned it due to being in the group of scullers launched and then pummeled by the morning thunderstorm. Doug then teamed up with three current rowers to take on the Men's Open Quad event -- the first time offered at the HOTC. Tim Marcovy arranged for the crew to borrow a shell then found out the morning of that the boat did not have any steering. The crew of Chris Ryu (s), Kevin Cronin (3), Phil Smith (2) and Doug Rathburn (b) rowed half of the course distance pulling with only one side. Smiles were beaming as the gold medals were handed out after a nearly 40 second win! Next year... rudder. Men's Open 4x storming into the last bend with no rudder!